This is our usual pricing schedule to serve as a guide not a bond. Daytime rate £60 all inclusive. OAP and student £55. Evening rate £90 all inclusive. Our quoted prices are what you pay, not a low estimate to hook customers. If it takes a little longer than we expect it will not cost you any more. Any new locks requested are charged at RRP not at exorbitant rip off rates. 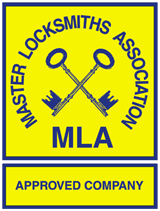 We expect to pick open 5/6 pin cylinder locks and British Standard 5 lever mortice locks without drilling or damage. Multilock, Bilock, Ingersoll, Banham can all be picked but may take more time than you wish to spend outside. Commercial properties and those with exotic locks like Abloy may incur a higher charge. For jobs further away, a charge for travel will be added. Supply and install replacement ‘Yale’ type rim cylinder £75 all inclusive. Supply and install replacement cylinder to PVCu door £85 all inclusive. Supply and install British Standard mortice lock to wooden door £125 all inclusive. For rim locks, garage doors, shutters, aluminium and APG doors or high security locks please phone.